The AccountMate Customer Inventory Manager module lets you integrate your business more closely with your customers helping you achieve higher levels of customer satisfaction. Most customers find it easier to use their own inventory part numbers, descriptions and units-of-measurement when placing orders and when receiving and being billed for products and services. Using this module, you can easily cross-reference item numbers, descriptions and units-of-measurement to those of your customers. It even allows you to set customer contract prices. 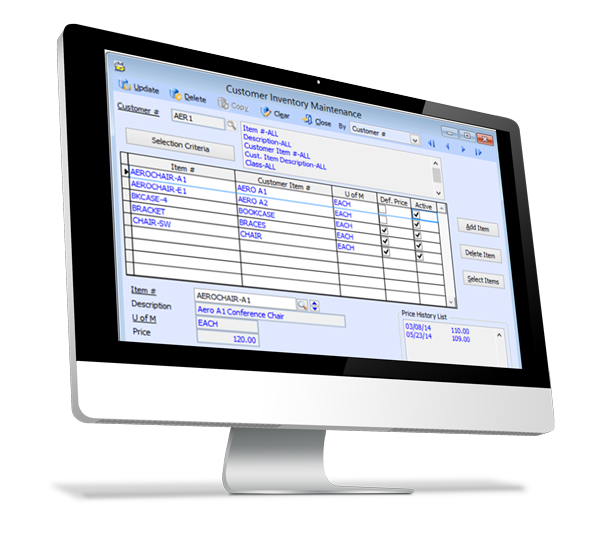 This module integrates seamlessly with AccountMate’s Accounts Receivable and Sales Order modules.